Occasionally, you may not have an Internet connection on your Chromebook, or you may not be able to connect to a Google services site. At times like this, you may not know if your Chromebook is a problem or if there is a network problem or if there is a problem with Google service sites. I'd like to show you a good tool to find out what's wrong with your Chromebook. 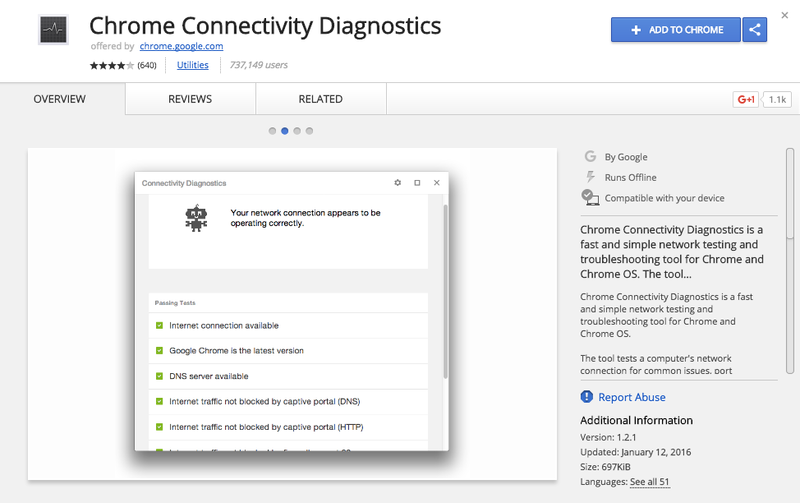 Chrome Connectivity Diagnostics is a fast and simple network testing and troubleshooting tool for Chrome and ChromeOS. The tool tests a computer's network connection for common issues, port blocking, and network latency by establishing connections to network and Internet services via UDP, TCP, HTTP and HTTPS.